A student introduced himself to Whitworth University president Bill Robinson on Monday. Tuesday morning, before Robinson’s surprising announcement that this school year will be his last, Robinson ran into the student on campus and greeted him by name. The student was impressed, but Robinson is well-known for making all feel welcome at Whitworth. Robinson, who turns 60 on Sept. 30, said the timing feels right. 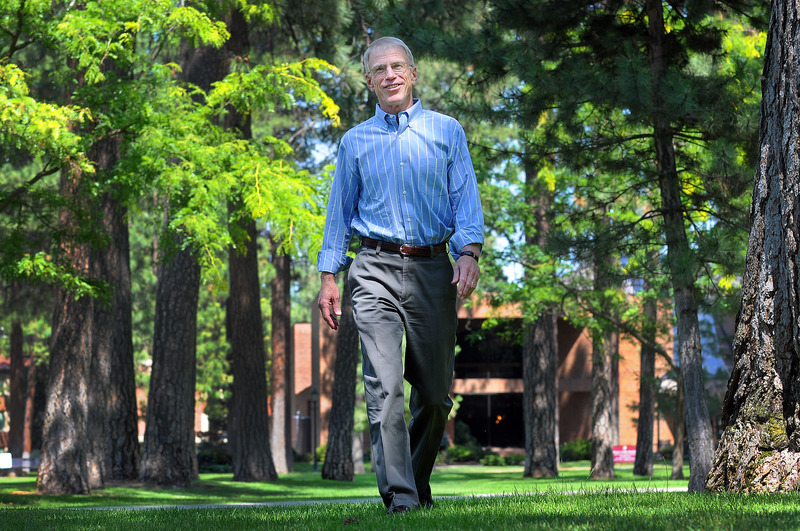 Whitworth University has grown in students and stature during Robinson’s 17-year tenure. Under his watch, the Whitworth campus spent more than $83 million on campus improvements, its endowment reached nearly $75 million, enrollment grew 60 percent and the number of freshmen applications increased more than 500 percent, according to a university news release. The private, liberal arts university has 2,675 students. Robinson also reaches out beyond campus. He served as chairman of the Spokane Regional Chamber of Commerce, now called Greater Spokane Incorporated. Robinson and his wife Bonnie – principal organist for First Presbyterian Church of Spokane – plan to stay in Spokane. He hopes to do more writing. His monthly newsletter, “Of Mind & Heart” circulates to 20,000 readers, inside and outside Whitworth. Robinson is known for his accessibility. He walks or rides his bike everywhere. The Robinsons live in a home on campus and routinely open it up for receptions and meetings. Robinson said he’s proudest of the connections he made with the young people educated at Whitworth. “I deeply care for the students and I think they all know that,” he said. The search for his successor will begin immediately, and the new leader will likely be in place by July 2010. Published: Sept. 15, 2009, 5:51 p.m.